The 2016 edition of African Fashion and Design week themed “Be Inspired” had the best of designers across Africa. The fashion event hosted by Sika Osei and Uti Nwachukwu, took place on Saturday, October 8th and Sunday, October 9th 2016 at the prestigious Oriental Hotel. 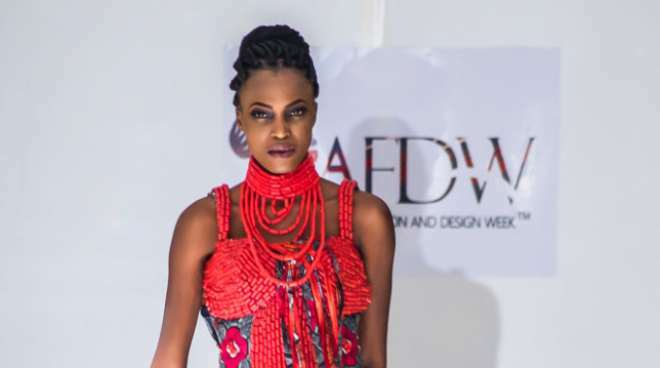 Nigerian International, multi award-winning designer, Modela Couture unveiled his latest collection inspired by Edo royalty with hand arranged special beads ensemble mostly in red, green and blue.